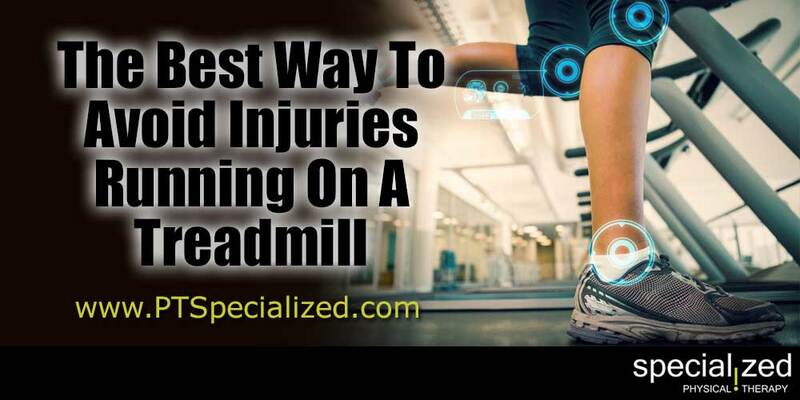 It may surprise you to know that many sports injuries are started or compounded by running on a treadmill. Here are some great tips to avoid injuries while running on a treadmill. It is easy to lose track of your speed when running on a treadmill. Because of the repetitive nature of the running, you can lose track of the fact that you might need to slow down a bit as your workout progresses. Trying to “keep up” with the pace of the treadmill can cause you to overstride, landing with your feet too far in front of your body. This can cause hamstring, hip and knee pain. The best way to avoid this kind of injury is just to be aware of your stamina and your stride. If you find that you are struggling to keep up with the treadmill belt, slow it down a couple of clicks until you can run with your normal stride again. If you are just using the standard “Quick Start” program on the treadmill, there is a good chance you are spending a lot of time using the same muscles and joints when you are running. Repeatedly working out the exact same sets of muscles and joints could cause strains or unnatural fatigue. This doesn’t happen when you are running on uneven surfaces outside. Non-treadmill trainings allow for a wide range of terrains, working all different joints and muscle sets. Most treadmills have preset programs that will automatically change the speed and incline of the machine while you are working out. Try a range of presets to see which match your skill and fitness levels. Leaving the treadmill on the “flat” setting may allow you to run faster, but it is hard on your knees. Instead of running “loose”, many athletes will have unnaturally straight or stiff running styles when on a treadmill. Inclining the treadmill platform at least 2% is said to help with this. If you are in the Denver area and have questions about your training or physical conditioning, Specialized Physical Therapy is here to help!